If you remember the first Pirates of the Caribbean, the Commodore loses his job because he gives Sparrow and his crew a head start of a day. Hobbs does the same in Fast Five, but there is no reference of him getting in any trouble because of that. In the trailer, Dom asks Hobbs that he must make an offer that would give the world's best crew enough incentive to stay. Now, either that is something very big in terms of money, but after their previous heist, I don't think they would want any more money! Perhaps, his offer would include a pardon for all previous crimes. Coming back to the trickiest part- Letty Ortiz- Dom's love who was presumed dead. I agree there are a few improbable events in films, but it's not Twilight that the explanation of her being alive would be resurrection by some goddamn supernatural creature. I think it might just be a lookalike, because surviving what happened in Fast and Furious 4 is very grim. Again, I doubt my own theory because the part in the trailer where Dom is shot, why does Letty not kill him rather than giving him just a muscle injury? That being said, I have high hopes of this movies, especially Rotten Tomatoes giving it a good rating of 73% and a one liner to describe it. 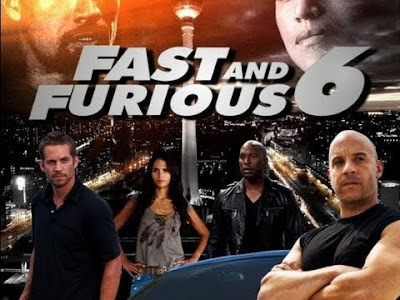 With high-octane humor and terrific action scenes, Fast & Furious 6 builds upon the winning blockbuster formula that made Fast 5 a success.